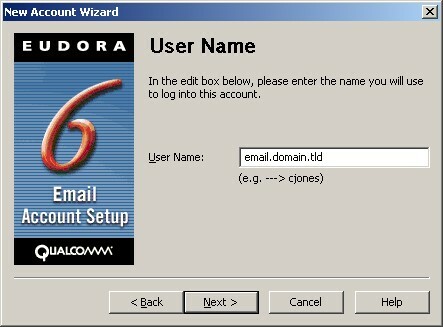 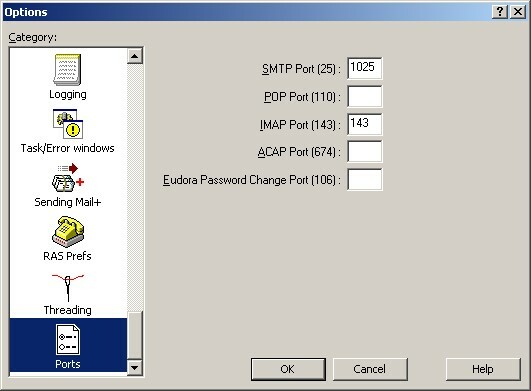 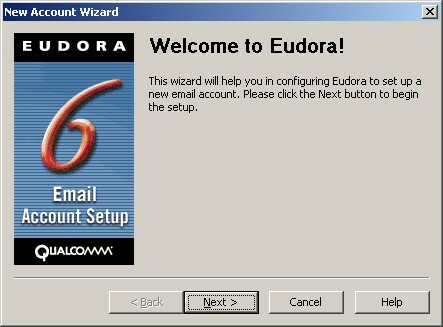 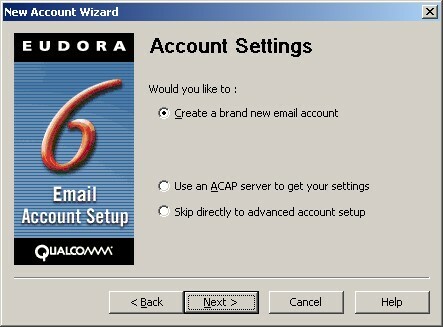 At this point, Eudora will open to the 'New Account Wizard' to help you setup your email account. 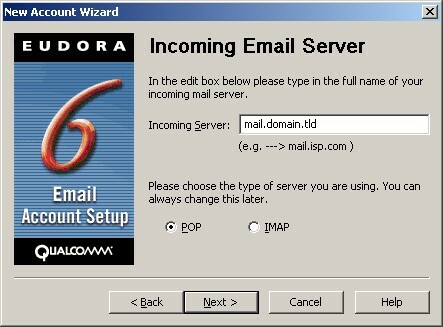 Make sure you have 'POP' selected for the type of server. Make sure you have a checkmark beside 'Allow authentication'. 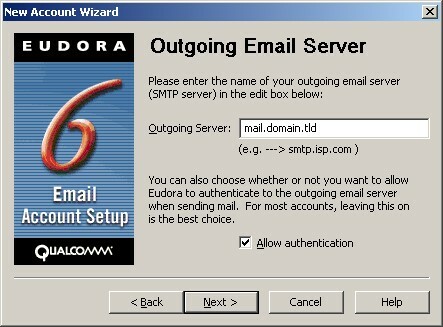 It will open up Eudora fully and show you your folder list while automatically doing a Send/Receive for email. 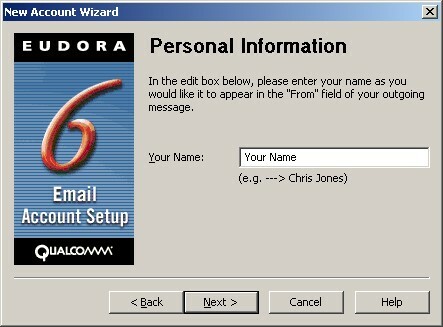 Click on 'In' to open up your inbox and view your email.